Ingrid Eagly is a Professor of Law at UCLA School of Law. 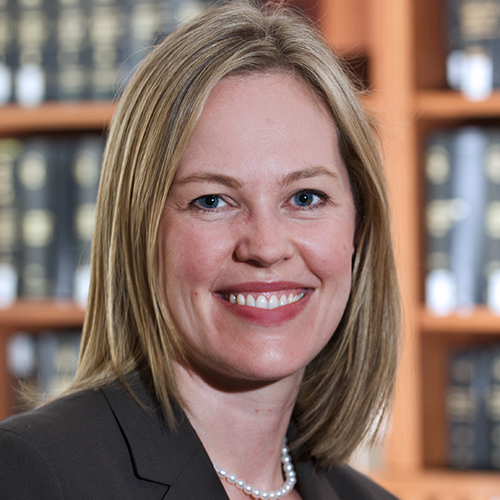 Her research focuses on immigration law, criminal adjudication, and public interest lawyering. Professor Eagly’s recent scholarship has explored the privatization of police policymaking, the practice of detaining families seeking asylum at the border, and barriers to access to counsel in immigration court. Professor Eagly practiced law as a Skadden Fellow at the Legal Assistance Foundation of Chicago and as a Soros Justice Fellow at the Coalition for Humane Immigrant Rights of Los Angeles (CHIRLA). She later served as a trial attorney for the Office of the Federal Public Defender in Los Angeles. Professor Eagly clerked for the Honorable David Coar of the United States District Court in Chicago and is a graduate of Princeton University and Harvard Law School. At UCLA, Professor Eagly serves as Faculty Director of the David J. Epstein Program in Public Interest Law and Policy, a specialization that trains and mentors future public interest lawyers. She also teaches Evidence, Immigration Law, and other courses on public interest lawyering. As co-director of the UCLA Criminal Defense Clinic, Eagly works with students to represent individuals before state and federal courts, in both trial and post-conviction proceedings. In 2017, she received UCLA’s Distinguished Teaching Award. Eagly’s published work has appeared in leading law reviews including the California Law Review, the Texas Law Review, the University of Pennsylvania Law Review, the New York University Law Review, the Northwestern University Law Review, and the Yale Law Journal.